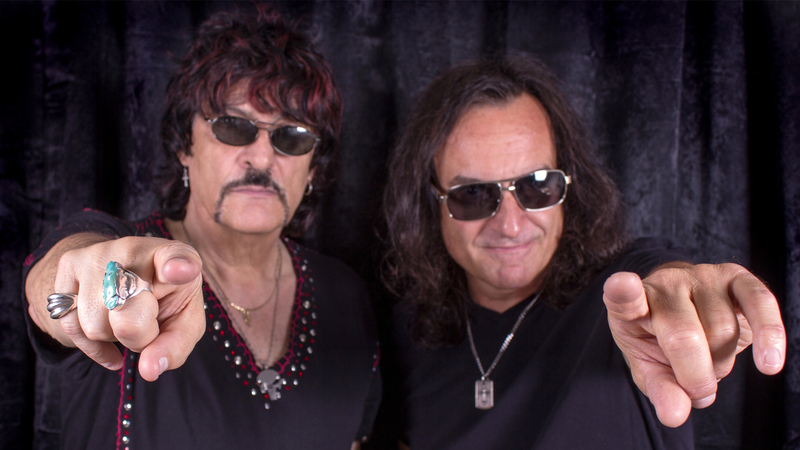 You’re unlikely to find a phenomenon like Carmine and Vinny Appice a second time in the history of rock music. For more than forty years, the two brothers have been among the most sought-after and renowned rock drummers worldwide. Carmine and Vinny (each of them on their own) can be heard on numerous legendary albums and have toured countless times with some of the world’s greatest acts. Carmine embarked on his musical path in the 1960s with the unforgotten Vanilla Fudge, manning in the course of his illustrious career the drums for superstars such as Rod Stewart and Ozzy Osbourne, among others. His brother Vinny, who is eleven years his junior, looks back on an equally spectacular career, having worked with acts such as Black Sabbath, Heaven & Hell and Dio, among others. With the exception of the live album Drum Wars – Live! (2014), there has been no direct collaboration between the two so far. That’s about to change!